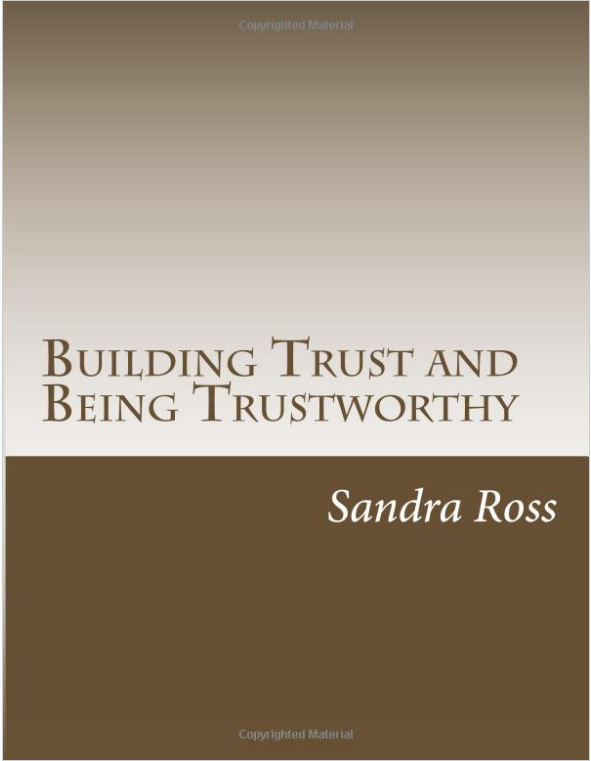 Building Trust and Being Trustworthy is also available from Amazon in print and Kindle versions. If you don’t read another book this year, I highly recommend that you read Building Trust and Being Trustworthy. These are not just leadership or quintessential leadership principles. These are essential life principles that each of us should be incorporating into who we are and who we are becoming. Each of us. You. Me. Our children. Our grandchildren. Because we are all current quintessential leaders and we are responsible for cultivating, mentoring, and growing future quintessential leaders. Building Trust and Being Trustworthy is written for all of us in quintessential leadership positions: leaders of organizations, leaders of business units, leaders of teams, leaders of education, leaders of congregations, leaders of social organizations, leaders of civic organizations, leaders of families, leaders of ourselves, and those we lead. Quintessential Leadership Traits of Dr. Martin Luther King, Jr.
As today – January 21, 2013 – marks the United States’ federal observance of Dr. Martin Luther King, Jr.’s birthday (Dr. King’s actual birth date was January 15, 1929), it is a good time to review some of the quintessential leadership traits that Dr. King possessed and that we should be looking for and developing in our own quintessential leadership journeys. As always, having quintessential leadership traits does not make any of us perfect or without the flaws of human nature, so I urge each of us, as Dr. King undoubtedly did, to also examine ourselves to see where we are unquintessential in leadership and in life and endeavor and persevere to change or eliminate those things and traits that prevent us from being thoroughly quintessential in every aspect of who we are, what we do, how we live, and how we lead. This is our life-long quest. One of the premier quintessential leadership traits that Dr. Martin Luther King, Jr. possessed was the ability to see the big picture – vision – and communicate that vision. 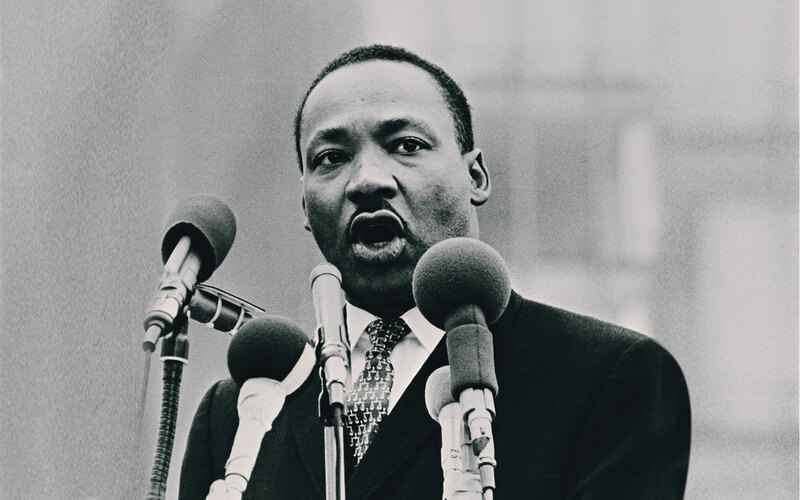 To learn in-depth and to gain application insight into how Dr. King and three other leaders who shared this rare quintessential leadership trait, you can purchase Communicating Vision from The Quintessential Leader online store. Dr. King also had the quintessential leadership traits of undeterred focus and commitment. His goal was the next substantial effort undertaken after President Abraham Lincoln’s two momentous achievements – the Emancipation Proclamation of 1863 and ensuring the passage of the 13th Amendment to the U.S. Constitution in 1865 – toward making the phrase “all men are created equal,” as declared by Thomas Jefferson in the U.S. Declaration of Independence in 1776 true, not just in words, but in fact. No matter what Dr. King had to endure personally, including prison, overt hatred, ominous threats, and ultimately, untimely death by assassination on April 4, 1968 at the hands of James Earl Ray at the Lorraine Motel in Memphis, Tennessee, or what he and the civil rights movement collectively endured, including the deadly bombing of the 16th Street Baptist Church in Birmingham, Alabama in 1963, the deadly and strong backlash of the resurgent Ku Klux Klan, and overt local and state-sanctioned law enforcement brutality, Dr. King never wavered in focus or commitment to making racial equality a reality. He didn’t see problems, only opportunities, even in the face of daunting odds and a lot of pain and suffering for a lot of people along the way. That is a rare quintessential leader trait that we could and should all make sure is part of how we lead and who we are. Another quintessential leadership trait that Dr. King had was part of what made him a trusted and a trustworthy leader: he set and he adhered to a higher standard for what the road to achieving racial equality would look like. 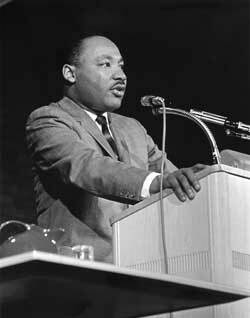 Dr. King was adamant about not using violence in the cause (this was a big difference between the civil rights movement of the 1950’s and most of the 1960’s and the more radical Baby Boomer civil rights activism of the late 1960’s that took center stage in the fight for racial equality, promoting violence as the great equalizer). Dr. King knew that returning violence for the violence being perpetrated against the African-American community would only create more violence. He knew that was not the solution. He set the higher standard for the moving of winning hearts and mind, through eloquence, persuasion, passion, reason, and practicality. A good example of this was the very successful bus boycott in Montgomery, Alabama in 1955 to end segregation on buses that was initiated because of what had happened to Rosa Parks. Although the white community in Montgomery largely acted shamefully and, sometimes violently, the African-American community followed the example set by Dr. King, meeting that higher standard of non-violence – even when they were the victims of violence – and their perseverance paid off. Another quintessential leadership that that Dr. King had was the ability to admit fear and then face and overcome it. Just because we’re in leadership positions doesn’t mean that we won’t come up against things bigger than ourselves – often! – and things that can seem scary or can create anxiety. Those are all part of our normal human emotional makeup. But how we manage fear and anxiety is the difference between a quintessential leader and an unquintessential leader. 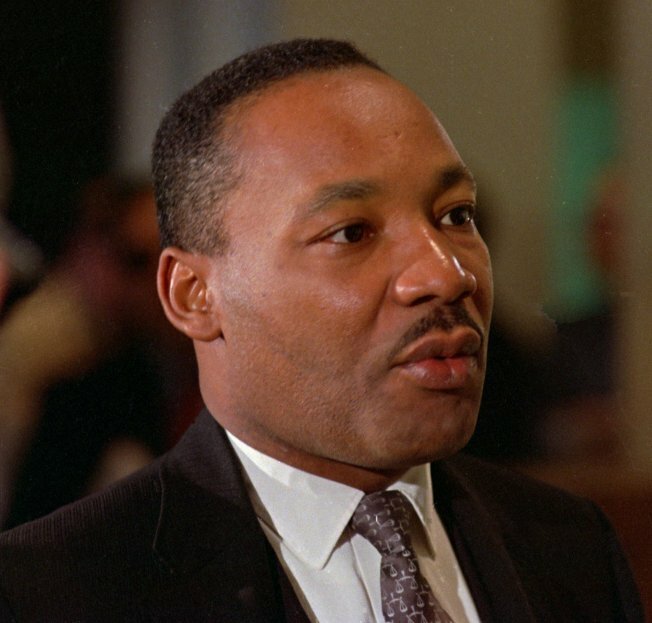 Dr. King had an interesting statement about fear and anxiety: “If you’re not anxious, then you’re not engaged.” He didn’t live or lead with overriding fears and anxiety, which unquintessential leaders do, but he recognized the relationship between being wholeheartedly invested in something and the range of emotions that can evoke. Knowing that Dr. King was a pastor, undoubtedly he spent a lot of time in prayer asking God for the help to overcome the fears and the anxieties. King David talks with God about this very thing as well in Psalm 139:23. This is the verse that always comes to my mind and is part of my prayers to God when I am dealing with fears and anxieties. Quintessential leaders are not ruled by their emotions and they know what resources they have available to them to help them manage and neutralize them so that they don’t cause hasty and poor decision-making. If you find yourself as a leader being led by your emotions, then you’re not exercising this quintessential leadership trait. A good rule of thumb when you’re dealing with an emotionally-charged situation is to put a little time and distance between you and it before doing anything. The phrases “let me sleep on it” or “let me think about it” should become part of your decision-making process because that time and distance can neutralize the emotional aspect and give you clarity to make the right decisions for the right reasons. While this is not a comprehensive discussion of all the quintessential leadership traits that Dr. King had, I would be remiss if I left out the trait of team-building from this discussion. Dr. King understood how vital building and growing teams – and individuals on those teams (look how many people from the civil rights movement went on to take leadership positions later in their lives) – was to accomplishing the goal of racial equality. He understood that consensus across a diverse and large group of the American nation was the only way to achieve the goal. He knew it was critical to and how to motivate, engage, encourage, support, and sustain the ever-burgeoning team. Dr. King was, like President Abraham Lincoln, a very gifted team builder. As quintessential leaders, it benefits us greatly to go back and learn in detail how they did it. The eBook, Teams & Performance, available from The Quintessential Leader online store, provides an in-depth analysis and application of what quintessential team-building looks like. Quintessential leaders are, at heart, historians, because they study the successes and failures of people in leadership positions before them, with an eye to learning to become even more quintessential leaders and removing or avoiding the mistakes of unquintessential leadership that are equally a part of our education. 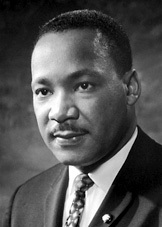 Dr. Martin Luther King, Jr. is one of those leaders we should go back and spend some time with. You’ll find that, like you and like me, he made his share of mistakes, he had human flaws and weaknesses, but the thrust, intent, and purpose of his life was, as ours should be, not to be the sum of those, but to be the sum of his victories. His legacy tells us he achieved that goal. We should expect no less of ourselves.